 Our apartments in Bayonne, NJ is Northern New Jersey’s premier alternative to living in Manhattan, featuring unprecedented style and upscale luxuries. Ideally situated to give you easy access to the best of what the area has to offer by its close proximity to schools, shopping areas, commuter services, parks - recreation and major highway access. The convenient, urban location in north NJ allows our residents to take advantage of the best shopping, dining and more. Plus, an onsite bus service and walking distance to light rail service that makes travel to NYC a breeze!